you need to do in order to get what you want? Do you have any critical issues in your life that you're NOT taking action on — like losing weight ... getting a new job ... improving your finances ... or changing a relationship? Leave unfinished projects lying around your house? Do meaningless chores instead of really important tasks? Wait until the last minute (or even later) to file your taxes? Sometimes return movies or pay bills late? Make a to-do list, and then ignore it? So much information out there is aimed at helping you figure out what you need to do in order to get what you want in life. But the question isn't what to do. You already know that. It's actually doing it that's the problem. Whatever your particular challenge may be, if you can identify with the challenge of knowing what to do, but still not doing it, then I've got life-changing news for you. The typical excuses for not doing what you know you should — I'm too stressed out ... I don't have the time ... I don't have the energy, etc. — are, in fact, manifestations of a complex, interconnected web of psychological, chemical, and neurological factors. When activated, these factors can effectively paralyze you — making it virtually impossible for you to take the actions needed to create change in your life. In other words, even if you're highly motivated ... even if you want something very badly ... and even if you know exactly what you need to do to get it ... if you've got these internal circumstances operating, you AREN'T going to be able to do it. But while the biochemistry may be complex, the solutions are actually quite simple. them — in my audio program I Know What To Do, So Why Don’t I Do It? 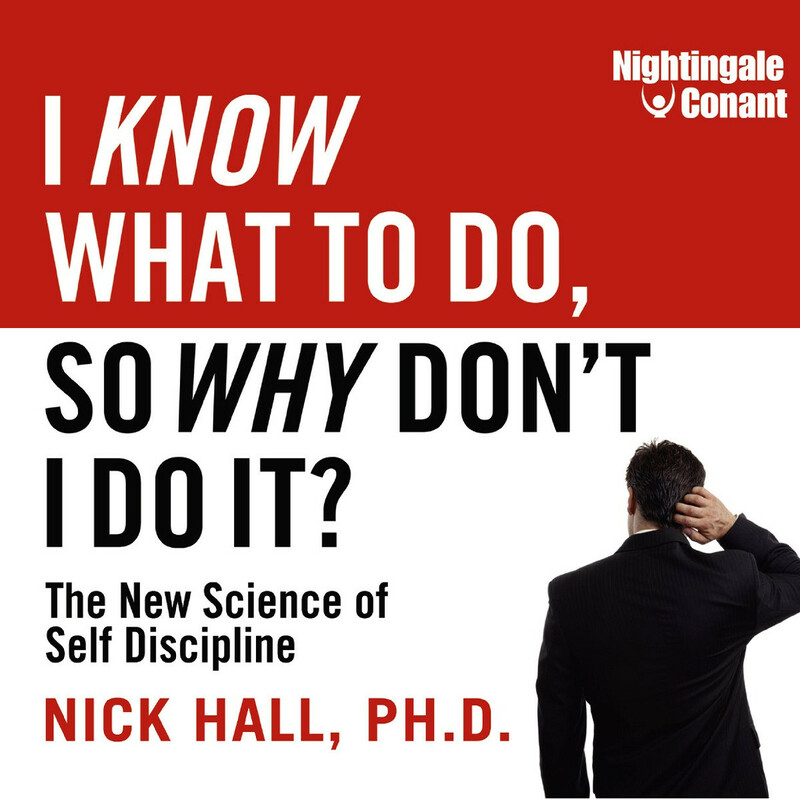 The New Science of Self Discipline. ... and give you DOZENS of tips, techniques, and scientifically sound secrets for overcoming each of them. Strategies that address the biochemical root of the excuses and obliterate them right then and there. What You Know You SHOULD Do? Eating better? Exercising? Eliminating your debt? Rethinking your career? Reorganizing your household? Repairing that long-lost friendship? Just think of all the big and little things you could accomplish if you could break through the excuses that typically hold you back. Doing just that is so much easier than you've been led to believe, and I'd like you to find out. And now you can with my no-risk, discounted offer for my bestselling audio program. My techniques are as easy to understand as they are to implement. And THEY WORK! Try them yourself and find out. If you're not happy with the results you get, you can send the program back any time within 30 days for a refund or an even exchange, with no questions asked and no strings attached. With I Know What To Do, So Why Don’t I Do It?, you will have in your possession an incredible arsenal of tools that will empower you to achieve any goal you want to — for the rest of your life. From now on, any time you feel the old excuses creeping up on you, you will know EXACTLY what to do to overcome them instantly. And when you can do that, NOTHING will be able to stop you from achieving any goal, any plan, any dream you can imagine. Author, I Know What To Do, So Why Don’t I Do It? I Know What To Do, So Why Don’t I Do It? I want to eliminate excuses and TAKE ACTION towards my greatest future.